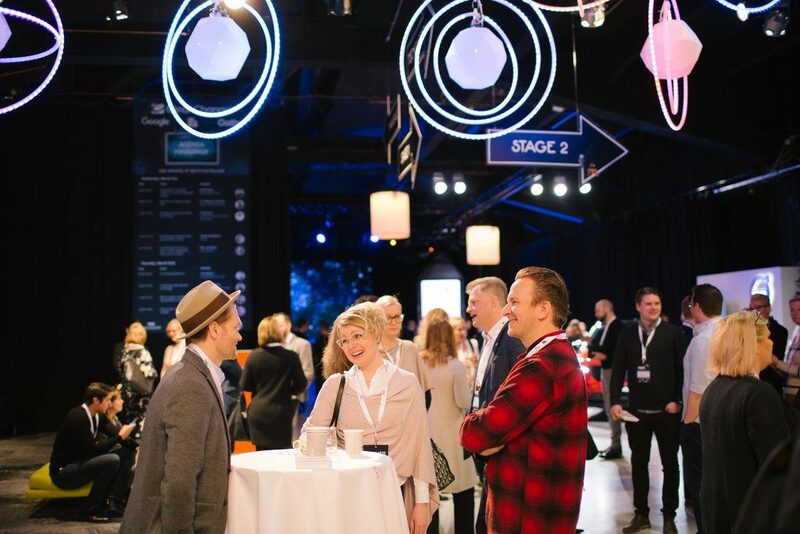 nextm – NextM is a one-day invitation-only event to inspire, ignite conversations and deliver exposure to new concepts and original thinking. In a world of rapid technological advancement and consumer changes, our role is to anticipate disruption, create opportunities and produce maximum value for your business. Tech at heart, ignition in mind. Ben Royce - If Data is the new Bacon, how do we make it sizzle? Alena Buyx, MD PhD MA is Professor of Ethics in Medicine and Health Technologies and Director of the Institute of History and Ethics in Medicine at Technical University Munich. Previously, she held positions at Kiel University, Harvard University, University College London and Münster University. She is a member of the German Ethics Council. As a researcher, Alena Buyx is interested in the ethical implications of transformative technologies for medicine, healthcare and wider society. As a teacher, she helps shape the perspective of future leaders in medicine and health technology development. As a consultant, she advises large international research consortia on ethical research practice, and the German government on complex ethical questions regarding novel developments in biomedicine. As a speaker, she communicates about the big issues that affect us all. The power of big data analytics together with artificial intelligence and machine learning currently enables the development of new tools to predict and understand risks at an unprecedented speed. Not only do we understand illnesses better – we are getting closer to near-perfect, individual health risk profiles. Not only can we predict some behaviors – we are now also getting closer to predicting our innermost thoughts, our character, our ideas. These novel tools have great potential to improve our lives, not just regarding our health, but far beyond. However, they also come with a number of significant dangers and many ethical issues. Some even say that we are facing an ‘Oppenheimer’ moment: are we developing beneficial tools for humanity, or are we unleashing a terrible power we only half understand at this point? The talk will explore some of the dangers and ethical issues and invite members of the audience to consider how these ethical aspects touch their individual lives, and what they might mean to them. Prof. Spence is a prize-winning experimental psychologist whose research lies at the interface between neuroscience, the senses and innovation. He has worked with many of the world’s largest companies and world famous chefs. Prof. Spence has published more than 800 articles as well as authoring and editing 11 books. He is a passionate advocate of the application of the latest insights from experimental psychology and cognitive neuroscience to design more stimulating, more memorable, and meaningful products and dining experiences. In this session, Prof. Charles Spence discusses the future of technology at table. He demonstrates how some of the latest ideas/innovations from the Formula 1 of the Kitchen (think Michelin-starred, and San Pellegrino-listed, chefs/restaurants) are starting to make their way to the mainstream via multisensory experiential tasting, think Sensorium/Sensploration-like theatrical, storytelling, events, as well as via sensory apps. Charles explains how consumer behaviour, be it in the context of the restaurant/bar, or anywhere else for that matter, is influenced by the senses, no matter whether we are aware of these cues or not (and mostly, the evidence suggests that we are not). We will see how the insights concerning the fundamentally multisensory nature of human perception offer a number of exciting actionable opportunities to ‘hack’ the consumer’s senses. Finally, Charles summarizes some of the latest attempts to elicit extraordinary emotional experiences (such as ASMR-like responses) by means of technology as well as by building on the synaesthesia-like crossmodal correspondences between the senses that reside in us all. Dr. Tu-Lam Pham is an international expert on e-commerce & social media, based in Munich, Germany. He advises leading corporations, international brands and private equity firms on how to grow their digital business. Prior to that, he was a start-up founder, professor and corporate executive in the areas of e-commerce, media and venture capital. He frequently travels to Berlin, San Francisco and China to immerse himself in the latest digital trends all over the world. As an international keynote speaker, he enjoys sharing his views on the current state of technology and business. He regularly publishes his insights on LinkedIn, YouTube, Instagram and on his “Digital IQ” podcast. In many areas such as mobile payment, mobile commerce and social media, China has already surpassed the US and is THE global trendsetter. If you want to understand the future of tech, you have to understand the Chinese tech ecosystem. The talk will cover all of the relevant China tech trends such as: Mobile commerce, super apps, new retail, e-sports, short video, live streaming & super influencers. You will learn all about the Chinese Internet Giants such as Baidu, Alibaba, Tencent, WeChat, TikTok & Toutiao. Already curious? Get a sneak peek here. Zach Johnson leads the International Advertising Sales and Global Account teams for Amazon Advertising. As such, he and his team work closely with brands and Amazon’s retail teams to develop advertising strategies and custom marketing integrations across Amazon’s advertising product portfolio – which includes display, Sponsored Products and Sponsored Brands, video, Stores, and more. Zach joined Amazon in July 2004 as the sales leader for IMDb’s advertising team, which later became part of Amazon’s broader advertising portfolio. 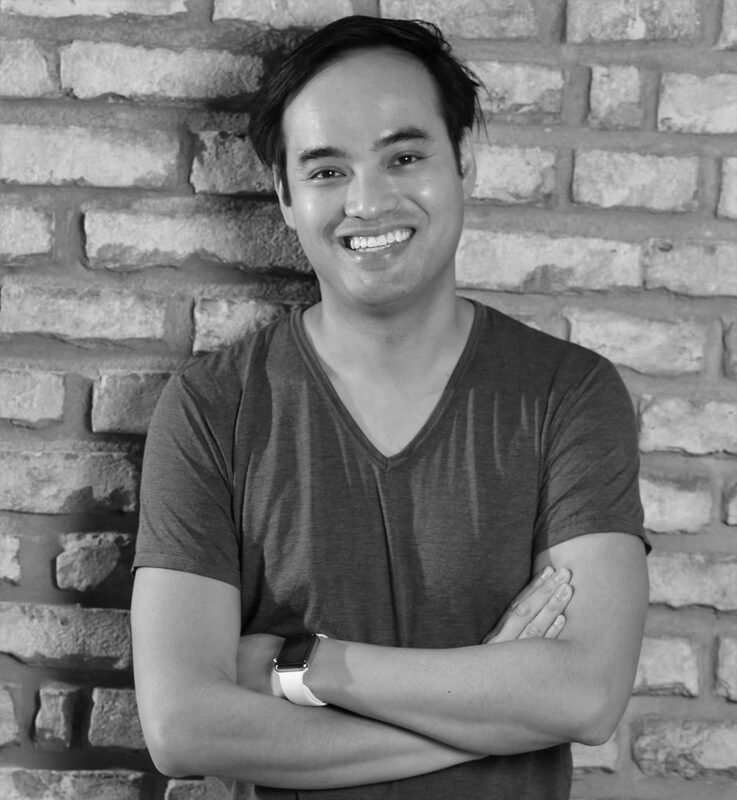 He has worked in the digital advertising industry since 1998 when he started with TMP Worldwide (Monster.com). He holds a BA from Gonzaga University and lives in London, England with his wife Cynthia and their three children Charlie (13), Sam (12) and Lucy (10). As customers increasingly shop online, e-commerce has been a driving force of retail sales. With the growth in adoption and usage of digital, we’re seeing the emergence of powerful trends that are reinventing the shopping experience as we know it. 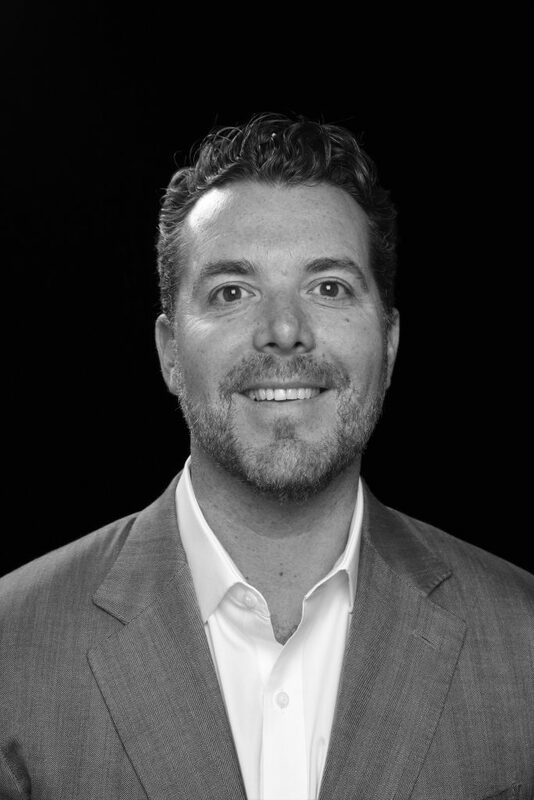 Zach Johnson, Amazon’s Director of Global Accounts and International Partnerships, will discuss how businesses and marketers can build strategies to drive success in this rapidly evolving space. Seit 1994 gründet und leitet er technologie- und design-getriebene Unternehmen. Als Gründer und CEO von Freigeist Capital konzentriert er sich auf Frühphasen-Investitionen wie Lilium Aviation, Wunderlist, myTaxi, KaufDA und Ankerkraut. Seine Erfolgsbilanz erstreckt sich nun über zwei Jahrzehnte. Seine Produkte haben über 200 Millionen Kunden in mehr als 60 Ländern erreicht und erhielten zahlreiche Auszeichnungen, wie etwa den „Innovate 4 Society Award“, der ihm von Angela Merkel überreicht wurde. Seit 2014 ist er „Löwe“ in der Primetime-Fernsehserie „Shark Tank“ von Sony Pictures, die in Deutschland auf VOX als „Die Höhle der Löwen“ ausgestrahlt wird. 2018 veröffentlichte er mit 42 Jahren seine Autobiografie „Startup-DNA“. Tech investor Frank Thelen speaks about his personal story, his passion for visionary business ideas, what entrepreneurs need most in order to succeed, and shares some of his insights into the start-up scene with the audience. In his talk with Horst von Buttlar, Editor-in-Chief of „Capital“, who also launched a magazine in cooperation with VOX´s TV show „Die Höhle der Löwen“, Frank also reflects upon his longtime role within VOX´s TV show, how becoming famous and being a tech nerd go together in his own experience, and how he leverages the entertainment format´s popularity and ever-growing presence across all media to help drive change in society. SENSIKS. The Sensory Reality Pod offers full-sensory experiences with audio-visual content enriched with scent, temperature, air flow and vibrations. Receiving multi-sensory impulses makes your brain go from a state of passive observation to active participation for mental therapy, stress reduction, marketing, training to art and fun. With a background in product development and wearable tech, Elena has carved out a high profile career as a tech consultant working with the BBC, Diageo, Unilever, Audi, and the London Olympics. She has been featured in ​Vogue​, ​Forbes​ and ​MIT Technology Review,​ and wowed audiences at TED and Oxford University. Inspired by Unruly’s co-founder Sarah Wood, Elena joined the Unruly family in early 2018 as a resident Futurist. 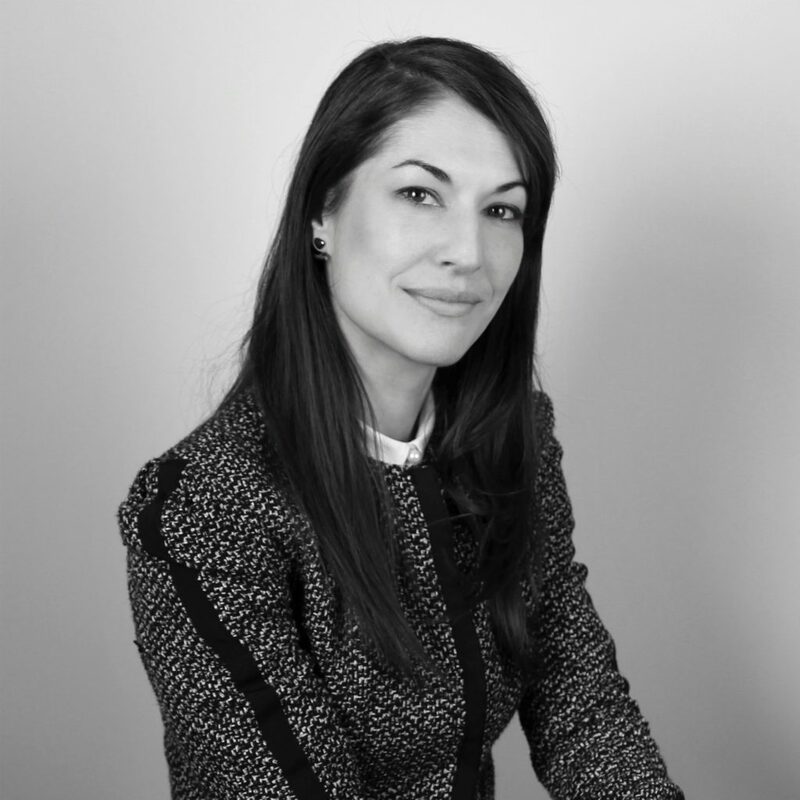 As a believer in the power of brands and advertising to make the world a better place, Elena educates brands and publishers about the future of ambient technology in the Home, and how it will affect the way they connect with audiences. In her spare time, she enjoys travelling and Lindy Hop. The way brands communicate is changing. The rise of ambient technology in the home has created new ways for brands to connect with audiences. But if brands are going to be successful in the home, they need to understand how relationships with consumers are changing. With examples from the world-famous Unruly Home, Elena Corchero presents a glimpse of what advertising will look like in the future, and shares some examples of brands who are pioneers in the new ambient era of advertising. Leading companies have innovative IoT concepts but are challenged when it comes to turning them into reality. IOX LAB helps them and creates prototypes exceptionally fast: In 30 days from idea to prototype. To make this possible, the start-up uses IoT technologies as sensors, motors, 3D printing and artificial intelligence. The team covers the full stack of IoT from industrial designers to software and hardware developers. You have an idea? We help you create the future! We are developing smart products and services: fast, hands-on and with passion. Our motto: Make things not slides. 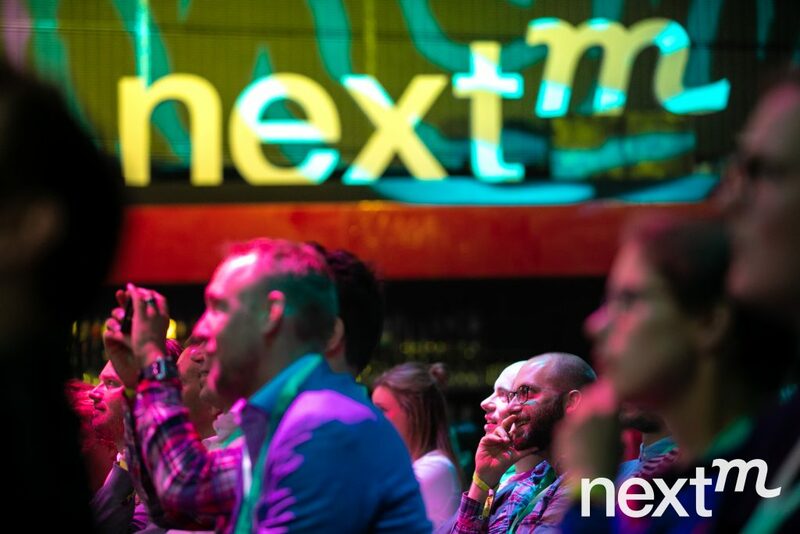 We’ll show you @NextM how to come from idea to prototype and how to use disruptive technologies to develop smart products in an incredibly fast way. 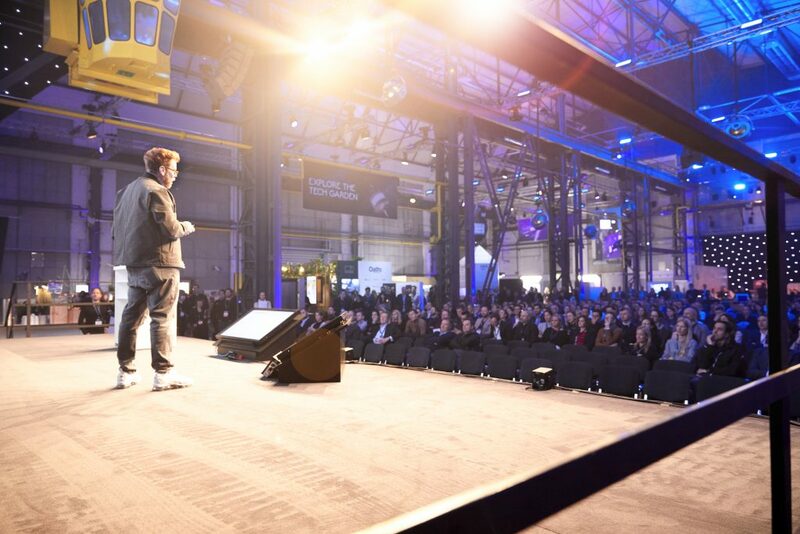 Therefore, we’ll bring some of our successful case studies: Watch out for the smart car for the drivers of tomorrow, turn “back to the future” with our self-lacing shoe and experience how our smart scale guarantees a great water drinking experience. See also how our modular sensor platform C RING helps you to collect and process data in real-time. Excited? We are as well! 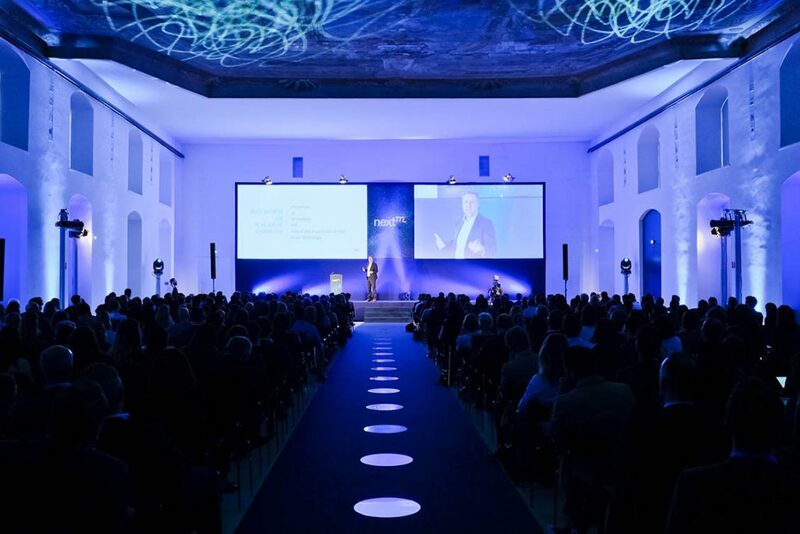 We are Cognigy – As Germany’s leading Conversational AI platform provider we present how we enable and accelerate advertisers as well as marketer to connect conversational processes – whether Chatbots or Virtual Assistant – from any channel (Facebook Messenger, Whatsapp, Skype, Text, Voice and more) and corporate database as ERP, CRM to an in-depth conversation between brands and customers. Advertisement becomes more effective, the customer journey seamless and revenue growth is guaranteed. Natia Todua is a Georgian-born singer with a Cinderella story. Growing up in Abkhasia in the Caucasus – a region near the Black Sea which until 1993 was plagued by war – her family moved a total of eleven times before she reached adulthood. During a visit to Tbilisi, her uncle played her a live recording of the legendary Woodstock Festival with rock and blues legends like Jimi Hendrix, Janis Joplin and The Who – a revelation for Natia. “At home we only knew Russian singers and folk music. When my uncle played me Western music for the first time, I felt hypnotised. Nina Simone’s voice moved me so much I dropped a full cup of tea! 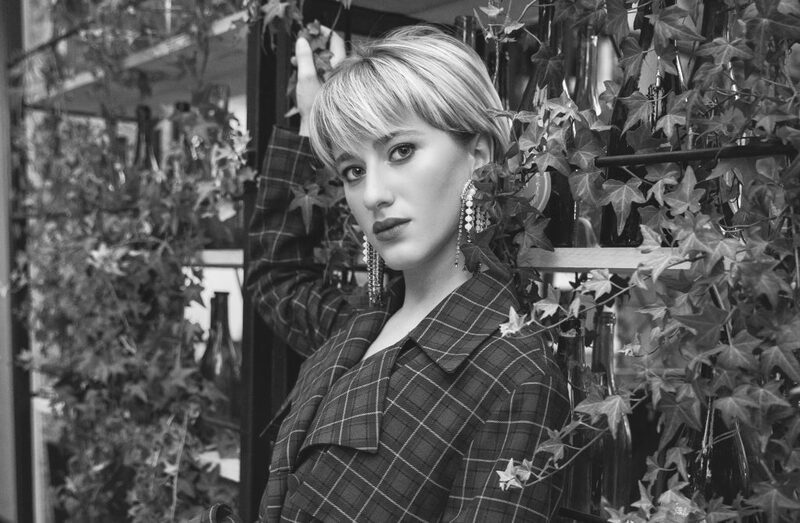 In that moment I knew I wanted to perform this kind of music on stage myself.” After finishing school and moving to Tbilisi she taught herself singing at age 17, tried her luck on The X Factor Georgia and The X Factor Ukraine and regularly performed in local pubs to finance her studies. In 2016 Natia moved to Germany to fulfill her dream of studying music. She worked as au pair when – entirely by chance – she came across the casting call for “The Voice of Germany 2017” on one of her babysitting-free Sundays. Natia applied as contestant, not knowing she would charm all of Germany with her recognizable soul voice, charisma and unusual looks, securing her victory in a dramatic final. After touring Germany for almost a month, she prepared for the Eurovision national final with her first single „My own way“. Currently living in Bruchsal and Berlin, Natia pursues to work on her debut album. She is also planning to begin her studies in music next year. Ric Scheuss leads the Corporate Sound & Music department at TRO (Duesseldorf, Cologne and Berlin). He consults global clients such as Henkel, adidas, C&A and Eurowings. Numerous projects were honored with international ad-, film- and music awards including Cannes Lions, ADC nails, BAFTA and a nomination for a Golden Palm.In 2017 he was part of the Cannes Lions Jury, in charge of the category Radio. With TRO Sonic DNA he developed an innovative process that combines valid data, artificial intelligence and creativity for the development of holistic music & sound strategies. Music and sound are essential tools for creating a strong emotional loyalty between brands and consumers. Moving image and audiovisual branded content are playing an increasingly important role in brand communication. Therefore, an inevitable need arises to predict and measure the emotional effect of music & sound for differing consumer touch points and target audiences. 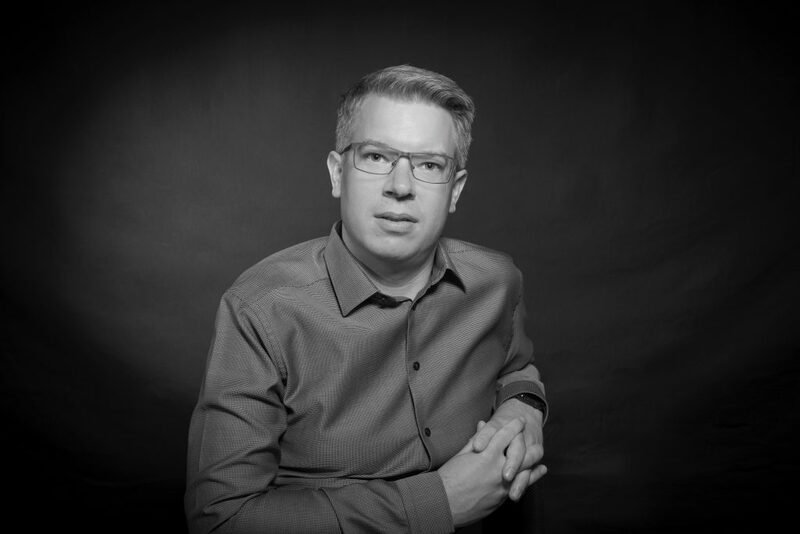 Ric Scheuss (CCO, TRO) will share insights of scientific research on the impact of music as part of a strategic branded world building and the design of a machine-learning algorithm that is capable of measuring and predicting target group specific emotions evoked by musical and acoustic patterns. 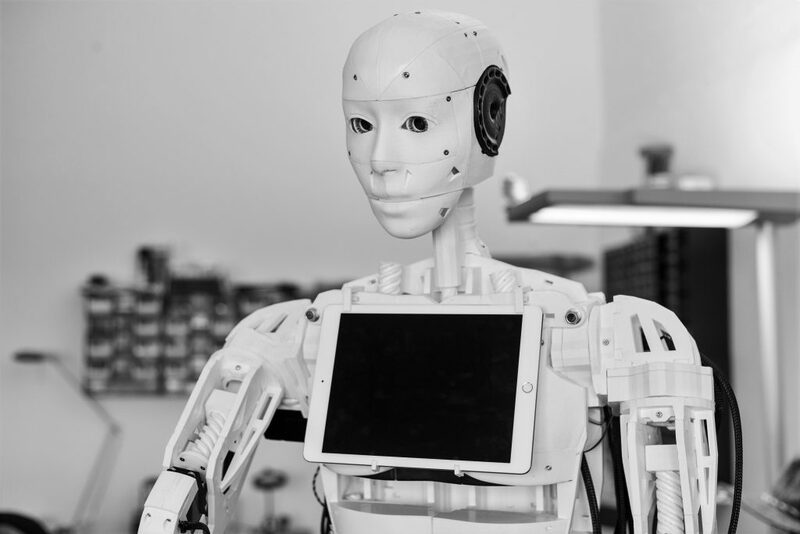 Use cases of holistic, technology driven music and sound strategies will allow a close look at the tension field between human creativity and AI. 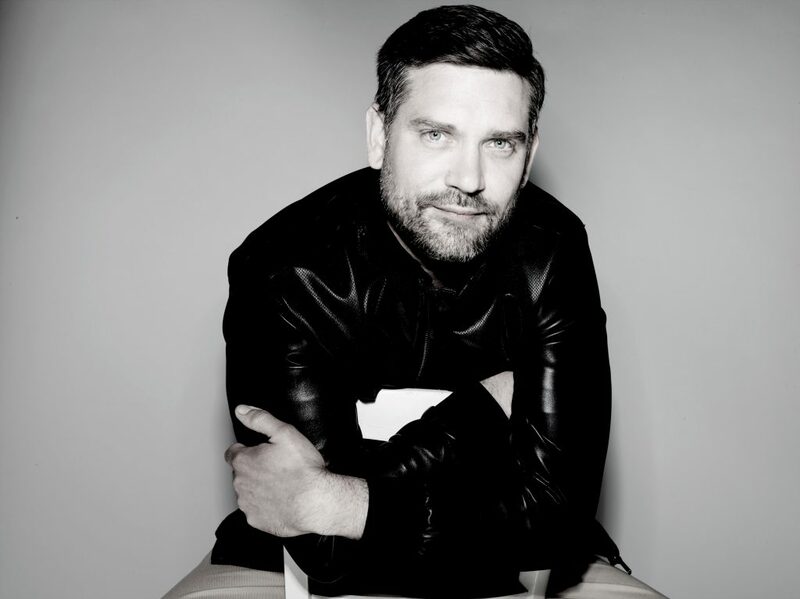 Mark Melling leads RYOT Studio in EMEA. RYOT Studio is Oath’s immersive storytelling platform, featured and celebrated at iconic film festivals such as the Oscars. The team produce award winning creative content for some of the world’s biggest brands. RYOT is a world leader in AR/VR, and 360 content. Oath is a Verizon company. There’s no question about it – brands are fighting for the hearts and minds of consumers now more than ever. The opportunity for brands to connect through content is growing but how do brands know it works? How can brands measure success? Is there a simple way to measure attention? There is. 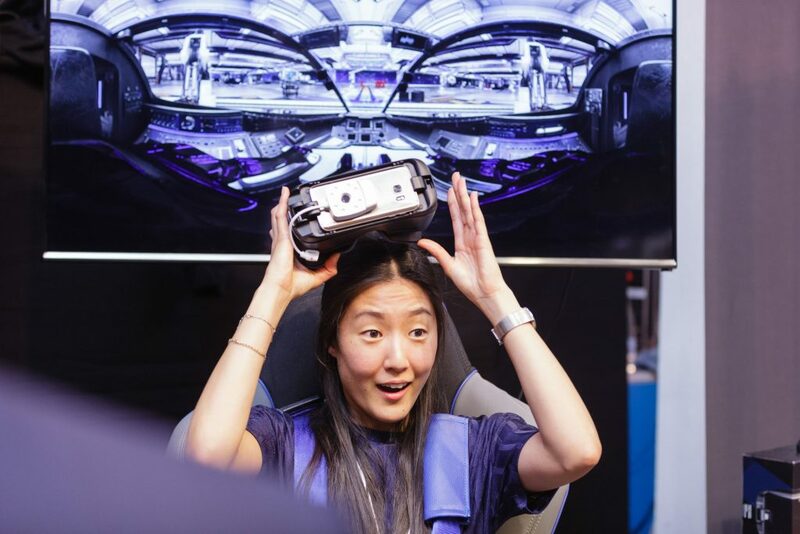 Join Mark Melling, Head of RYOT Studio EMEA (Oath’s immersive, branded content studio), as he takes a look at what’s next in the world of storytelling and immersive technology. Wherefore art thou, Mark? Since November 2016 Frank Bachér has been in charge of the digital business area at RMS. His main responsibilities include the ongoing development and strategic expansion of the adserver-based advertising business for audio services. He also contributes his expertise to industry working groups, for example the BVDW audio focus group. The established expert in digital advertising can look back on almost 20 years of experience within the industry. Most recently Bachér worked for Rubicon Project, the provider of a real-time trading platform for digital advertising, as Managing Director Northern Europe. A native of Munich, he began his career with Axel Springer in the mid-nineties. Following that he spent a number of years at TOMORROW FOCUS AG – most recently as Director Marketing. Further positions were Chairman of the Management Board at eBay Advertising Group GmbH, Director Marketing & Sales at the Telekom subsidiary InteractiveMedia, and most recently as Vice-President Online and Central Europe with Sabre Travel Network, provider of a travel booking platform. Our ability and willingness in adapting to technological progress is picking up speed from innovation to innovation. Artificial intelligence, too, has already been more firmly anchored in everyday life than is consciously perceived: Voice assistants such as Siri, Alexa and Cortana abolish the boundaries in human-machine communication since we now talk with devices on a regular basis and without much hesitation. What does this acceptance and increasing use of voice interfaces mean for digital media and how is it effecting the way companies communicate with their customers? Frank Bachér gives insights into the opportunities, challenges and tasks for brand communication. 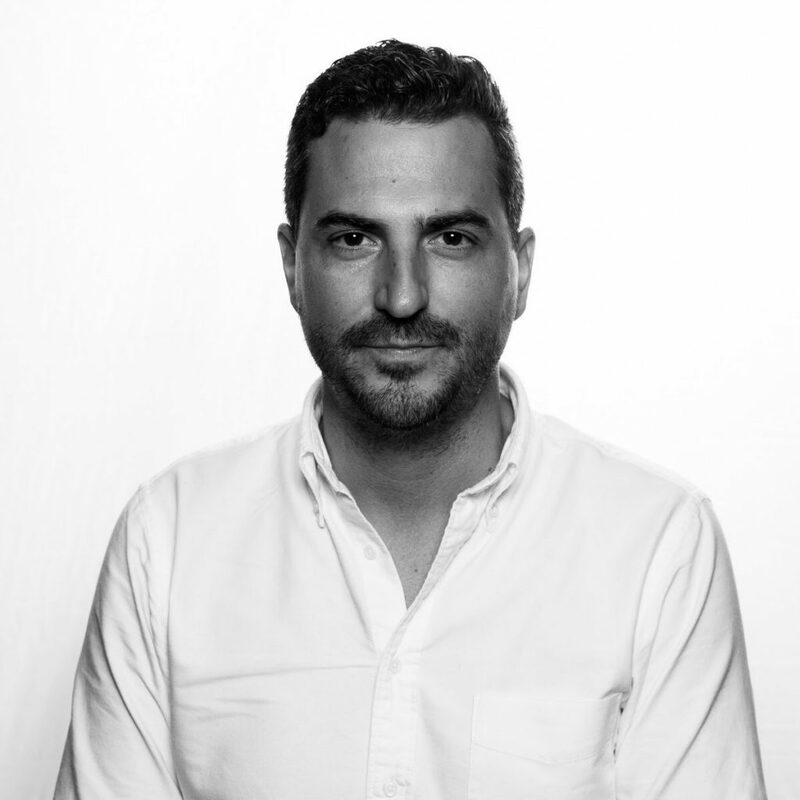 Ben is the Creative Effectiveness Lead for Google’s BrandUnit focusing on developing machine learning tools for creative insight. He works with advertisers and agencies on trend analysis, best practice development, and how AI is changing creativity. In the evenings, he is a lecturer in the Masters of Applied Analytics program at Columbia University in New York. 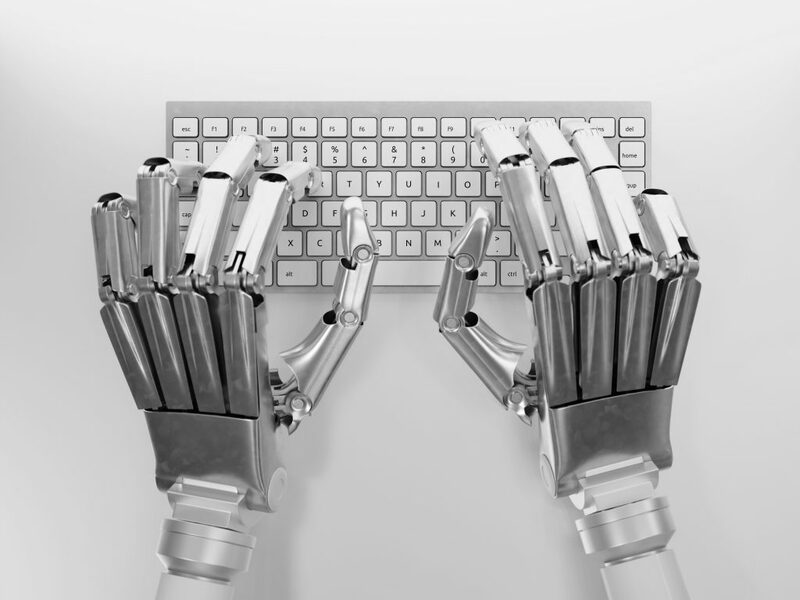 Artificial Intelligence (AI) is transforming almost every industry from the inside, but there’s a shortage of practitioners. Although Data Scientist seems to be the sexiest job title of the 21st century. As a lecturer of Applied Analytics at Columbia University, Ben Royce gets many questions from students. In this talk he’ll walk through some of them and provide added context. Including his definition of what AI means. We will also learn how AI supports creativity, measuring brands, and how AI is already usable in communications. Burkhard Leimbrock can look back on nearly 20 years of management experience in the marketing and sales area of digital media. 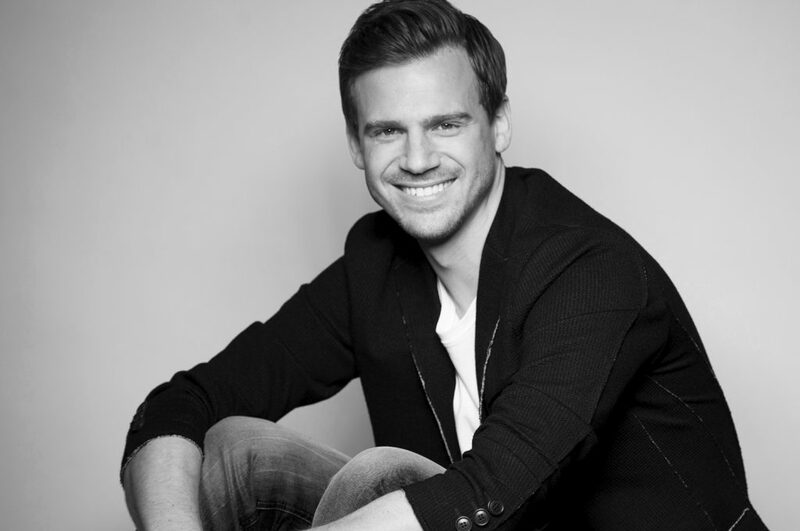 Prior to Twitch, Leimbrock worked as general manager for Germany and Austria at the digital agency ReachLocal. Prior to that, he led marketing and sales teams at Google, iconmobile (WPP), Vodafone, DoubleClick, Gruner + Jahr and Axel Springer. Live Streaming has come to stay. 77% of German Internet users aged 14 and over watch films, TV programs or other videos as streams on the Internet. Gaming and eSports have long since arrived in the middle of society. German Chancellor Angela Merkel opened Gamescom 2017 talking about the sales of computer games and the necessary equipment that have outstripped other industries in the entertainment sector. But what significance does this have for brands? How has the platform Twitch stolen hours of the day from millennial males to consume content on? Come join Twitch as they bring your through the journey of livestreaming inception. Live-Streaming ist gekommen, um zu bleiben. 77% der deutschen Internetnutzer ab 14 Jahren schauen sich Filme, Fernsehprogramme oder andere Videos als Streams im Internet an. Gaming und eSports sind längst mitten in der Gesellschaft angekommen. Bundeskanzlerin Angela Merkel eröffnete die Gamescom 2017 und sprach über den Verkauf von Computerspielen und die notwendige Ausrüstung, die andere Branchen der Unterhaltungsindustrie längst überholt haben. Aber was genau bedeutet das für Marken und wie können diese auf Twitch richtig werben? Aljoscha Höhn is one of the event-moderators that people in Germany ask for by name. His clients include leading companies such as Facebook, Amazon, Procter & Gamble, Deutsche Telekom, Porsche and Ströer. He moderated for UEFA at the UEFA Champions League Finale in Berlin and he hosted the opening-show for the entire Helene Fischer Stadium Tour in front of 900,000 viewers. The straight-talking Rhinelander knows very well how to interact with people. That’s why he is not only the first choice for many marketing decision-makers, but also for TV networks. He presented for example the making-of production of “Die Höhle der Löwen” from VOX and he moderated at the ECHO Awards for two hours live from the red carpet. 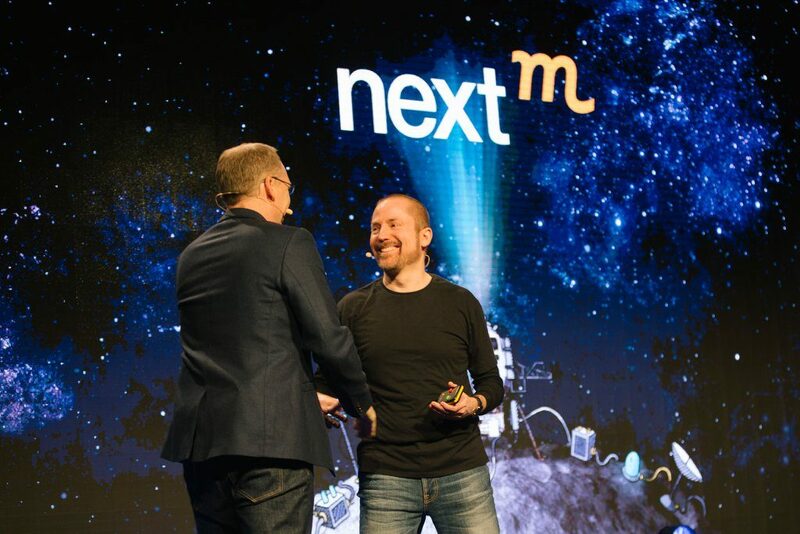 He now looks forward to being on stage at the NextM 2018 with so many inspiring speakers. Jürgen Blomenkamp is CEO and Chairman of GroupM Germany. From 2013 to 2016 he also served as Global Investment Chairman, GroupM Global. At the beginning of 2010 he was appointed Global Chief Executive Officer, GroupM Trading. 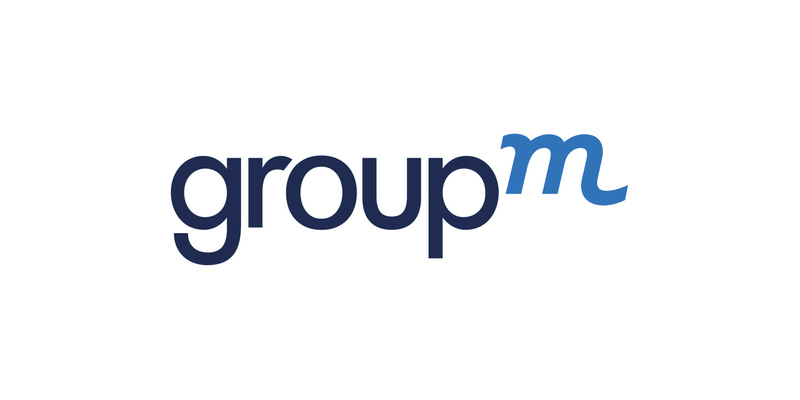 Prior to that, Jürgen was Chief Executive Officer of GroupM Germany since 2007, with a comprehensive function for the agency groups Maxus, MEC, MediaCom, Mindshare and Kinetic. In this function, he was responsible for a total of 1,150 employees and 6.8 billion € in sales. Prior to joining GroupM, Blomenkamp was CEO of MediaCom for four years (2003 to 2007). Under his leadership, MediaCom moved up to No. 1 in the ranking of leading media agencies in Germany. In 2002 he was Chief Operating Officer in Germany and also a member of the Global Management Board of MediaCom. From 1996 to 2001 Blomenkamp was responsible for new business and served top customers such as Procter & Gamble, Mars, Deutsche Bank, Coca-Cola, VW Group and Deutsche Telekom.